When wood is prepared and finished using the correct protection products it is a beautiful natural material to behold, different species of wood will offer a variance of aesthetic appearances as will the finishing processes using professional lacquers and oils. Typical wood species types used for flooring include; pine, spruces, fir, oak, cherry, ash, birch, beech, teak, merbau, maple, walnut, elm, mahogany and various African hardwoods. 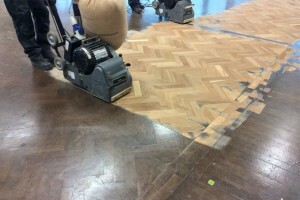 The methods they are laid can be in parquet form, finger blocks, herringbone to strip or plank. Decorative wood floors where inlay of different timbers can look awesome, designs are simple to very intricate work but will nearly always require professional workmanship if refinishing is needed. Wood floor restoration generally entails a full sand of the floor and refinishing using water and oil based finishes, the full sanding process will typically start on a coarse 24, 36 or 40 grit to remove old finishes and a worn surface. The next medium grades of abrasives are 50, 60 and 80 grit followed by fine 100, 120, 150 grits to obtain a beautifully smooth sanded prior to application of finish. When sanding wood flooring the process can differ slightly depending on the wood type, for example a soft wood pine floor will cut easier than a hardwood such as a merbau, the abrasive 36 grit on a belt sander will leave quite deep scratches therefore it is important as the next grade of abrasive is chosen (50 or 60 grit) that all of the scratches from the abrasive 36 grit are removed. The same process is repeated with a jump from 50/60 grit to 80/100 grit, if the scratches remain and are not removed during the coarse to medium sanding these will become very apparent when you finish the sanding on a 120 or 150 fine grit, hardwood floors will highlight these imperfections more than softwoods. Parquet floor restoration will require the use of a multidirectional 3 headed machine like a Lagler trio or similar, this enables a uniform cut without the problem of cross cutting the timber grain and leaving scratches. Beaver Floorcare use both the Lagler trio and the Klindex timba machines to restore and carry out parquet floor sanding, both of these machines are extremely effective and contain all of the sanding dust without it getting airborne. 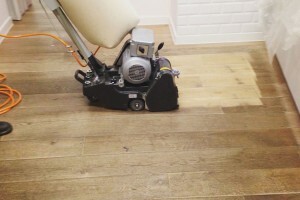 Oak flooring is considered to be a hardwood by many, however it is not as hard as you think and will be susceptible to impact dents and scratches, the sanding of oak floors should be more towards the hardwood floor restoration process utilising a lagler trio machine or similar to final sand the floor from 80 - 150 grit. 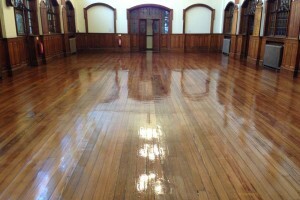 Beaver Floorcare carry out high quality floor sanding and sealing across the UK for all commercial work. 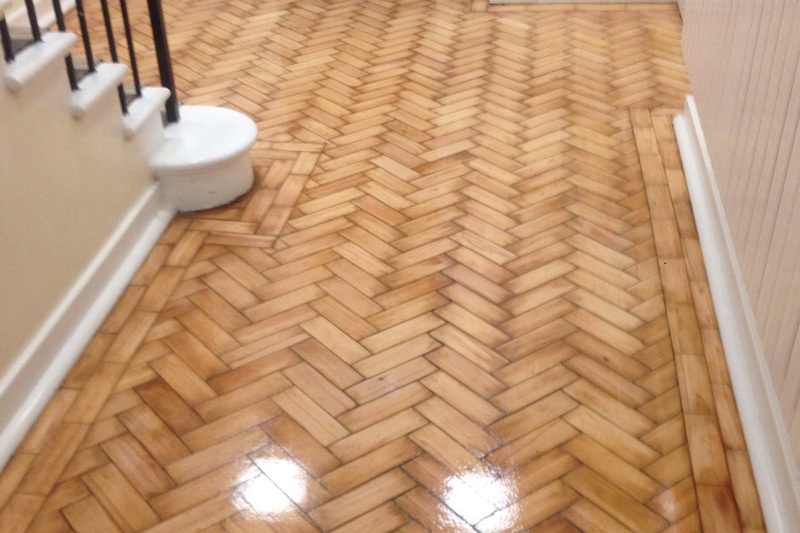 We operate throughout the West Midlands, Warwickshire and Worcestershire for all residential floor restoration work. Partial restoration may be an option if the wood finish has not deteriorated fully, this would comprise of fine sanding using 150 up to 400 grit which lightly abrades the surface before applying further coats of a compatible wood finish. Staining and Wood finishes are an important part of the restoration process and enough consideration should be taken when choosing the final coating system, these comprise of oiling, hardwax oils, waxes, water-based lacquers, hard wearing PU lacquers, oil/solvent/alcohol finishes. We can provide samples to assist in the choice selection. 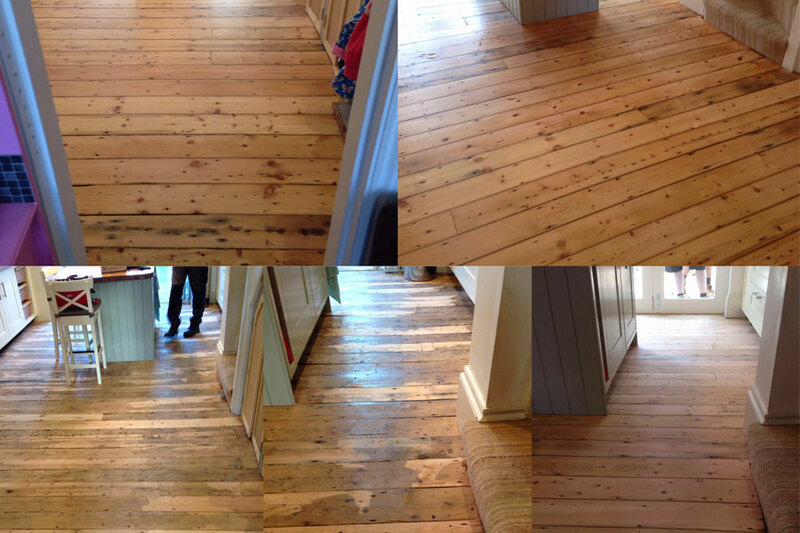 We offer Dust Free Floor Sanding as a standard service, please click the link for more information. 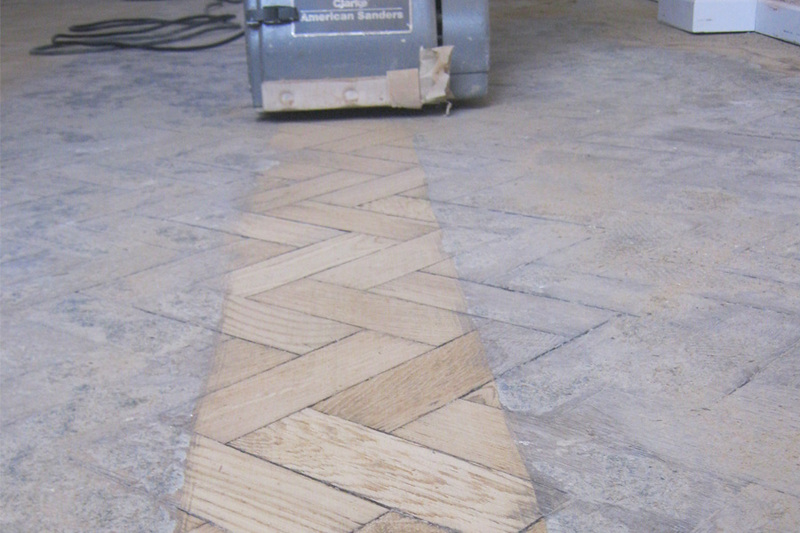 Want to know how to sand a wood floor professionally? you can view that information here!